Wesleyan’s team tied for first place in the Roland Berger Case for a Cause 2018 competition. The event benefitted the Make-A-Wish foundations of Massachusetts and Rhode Island. 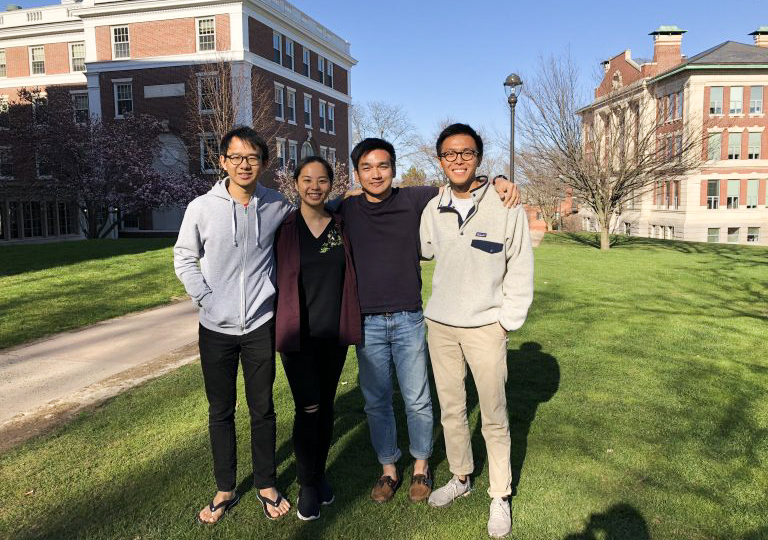 Simulating the work of strategy consultants, the group—consisting of Jake Kwang ’20, Roseanne Ng ’19, Carlo Medina ’18, and Justin Liew ’18—faced 30 teams of students from 16 schools. The University’s team was sponsored by the Gordon Career Center. All of the groups had to answer the following scenario: Imagine you are advising a company that is a leading producer of a specific fruit product in the U.S., and the Chinese market has recently opened for the export of this fruit product. What should the company do in response to this new market opportunity in China? What will competition likely do? In preparation for the competition, the team met up to three times every week, breaking the case into two steps. “First, they used data provided to identify which products and which region would have unmet demand. Then, they developed a strategy to help the client firm enter the product markets while mitigating potential risks and constraints,” Kwang said to the Wesleyan Newsletter. The team members’ diversity in gender, experience, major, and home country also let them build a strategy founded on many distinct perspectives. In the competition, Wesleyan’s team surpassed 26 teams to make it to the final round alongside three teams from different schools. In light of the team’s victory, the competition awarded the four Wesleyan students automatic first-round interviews with Roland Berger.